Women are moving up in the art world. 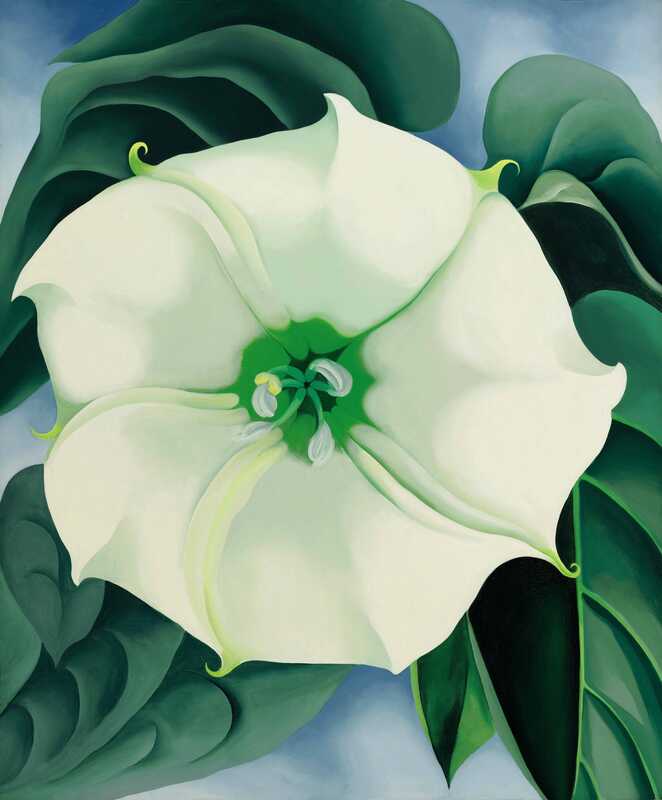 Today, at an American art auction at Sotheby’s New York, the Georgia O’Keeffe painting, “Jimson Weed/White Flower No. 1” (1932), sold for $US44,405,000. The proceeds will go to the Georgia O’Keeffe Museum’s acquisitions fund. That’s seven times the artist’s previous record at auction ($US6.2 million), and almost four times the previous auction record for any work produced by a female artist ever ($US11.9 million for an untitled Joan Mitchell work at Christie’s earlier this year). It’s a huge step forward in the thinking about what a woman is worth in the art market. Before today, only four works by women had ever been sold publicly over the $US10 million threshold (and even then just barely, and only by adding auction fees to the “hammer price,” which is what the seller is supposed to receive). This sale blew through that threshold and approached $US50 million. It’s not anywhere close to the $US142 million paid for a Francis Bacon work at auction last year, the record for any artist at auction, but it’s more or less an order of magnitude closer. Back in 2012, I interviewed several women in the art world about the disparity in prices between women and men at the top of the art market. The consensus was that the world was changing, as collectors stopped brushing off women because of their gender (as they did 20 years ago), and have become more and more willing to buy super-high-priced art regardless of the artists’ gender. But the change, up until this point, has been slow. The record for women inched up $US500,000 here, $US1 million there. That’s a lot of money to most people, but pocket change to the most prominent collectors. There are a lot of caveats here: Selling for 4x the price of the previous record doesn’t make this work 4x better. Aesthetic and cultural value doesn’t necessarily correlate with monetary value. It’s also just one sale — and not in a particularly flashy category, either — it could have been a fluke. It’s hard to say what will happen from here. But this sure seems like a paradigm shift for women in art.